UC Berkeley professor emeritus of epidemiology and former dean of the campus School of Public Health Warren Winkelstein Jr. died July 21 of an infection at his Richmond home. He was 90. Winkelstein was most noted for his pioneering study of AIDS in the 1980s, study of heart disease in women and finding a link between tobacco and cervical cancer, according to colleague and campus professor of biostatistics Steve Selvin. Born in Syracuse, New York, on July 1, 1922, Winkelstein started his career at UC Berkeley in 1968 as a professor of epidemiology. He later became dean of the campus School of Public Health in 1972. 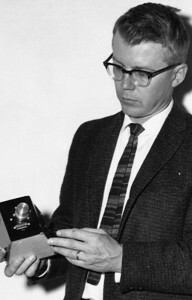 Prior to his career on campus, Winkelstein had served a year working in Vietnam with the U.S. Public Health Service. In 1981, Winkelstein led research on AIDS in the San Francisco Men’s Health Study. Campus Clinical Professor Linda Neuhauser, another one of Winkelstein’s colleagues, described Winkelstein as modest, tenacious and delightful to talk to about various topics such as history or politics. 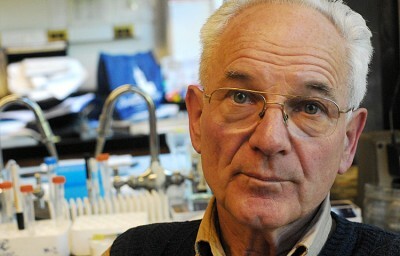 Professor of Biochemistry and Molecular Biology Peter Duesberg said Winkelstein was a very open person to debate with who did not hold personal grudges despite the very different views the two scientists had. One of Winkelstein’s former students, Stephen Francis, called Winkelstein an inspiring and wonderful mentor who was very passionate about all epidemiology fields. Besides epidemiology, Winkelstein was also passionate about playing the organ, traveling and world history and according to Selvin, Winkelstein had played his organ in symphonies. According to Shoshana Winkelstein, Winkelstein lived his last years with his recently deceased girlfriend Jean Eakle. During the last two years of Winkelstein’s life, according to Neuhauser, Winkelstein had bouts of pneumonia but still came to the campus to give lectures, up until six months ago. Winkelstein is survived by his three children — Shoshana Winkelstein, Rebecca Yamin, and Joshua Winkelstein — as well as three grandchildren and three great-grandchildren. A memorial service for Winkelstein will be held on Sept. 10 from 4 to 7 p.m. at the Great Hall of the campus Faculty Club.